Nintendo isn’t pulling any punches with Super Smash Bros Ultimate, filling it with more fighters, stages and audio tracks than ever before. Changes have been made to all returning characters, and there are several new faces to choose from as well. Here at USgamer, we’ve been busy putting together character guides for each of the fighters in Super Smash Bros Ultimate. In this Super Smash Bros Ultimate Ryu Guide, we’ll be taking a look at Ryu. Specifically, we’ll be looking at the changes that have been made since his last appearance. We’ll also detail the Final Smash and Alternate Costumes. The main character from the Street Fighter series, Ryu brings close combat dominance to Super Smash Bros. Ultimate. In the list below, you can find all the moves that Ryu can use in the game. Several animations have altered including jumpsquat, victory, Up Taunt, double jump, Shin Shoryuken. Final Smash cancelling has been altered. Design is now closer to Ryu in Street Fighter V.
Forward aerial does less damage. 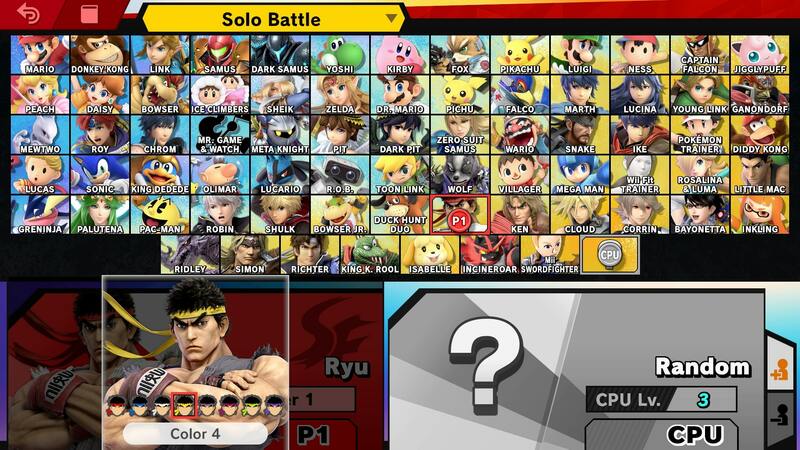 Much like the rest of the Super Smash Bros Ultimate roster, Ryu comes with some Alternate Costumes for players to choose from. They are simple color palette swaps of his default outfit, in grey, white, black, orange, light blue, yellow and purple variants. You can check out the yellow variant in the image embedded above. 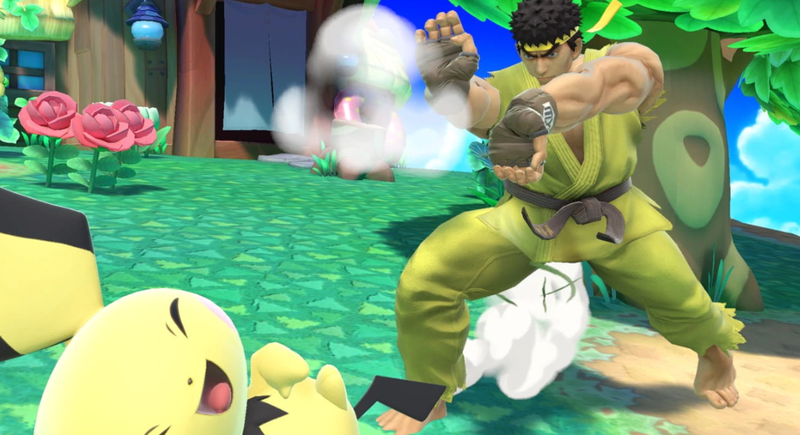 Ryu’s Final Smash is once again Shin Shoryuken/Shinku Hadoken. It is unique in that it is actually two moves, that players can choose between. The Hadoken is favored if there are no opponents right next to Ryu. If he is positioned right next to another character, he will perform the Shoryuken, a rising uppercut attack. You can check out the Hadoken in the trailer embedded above. 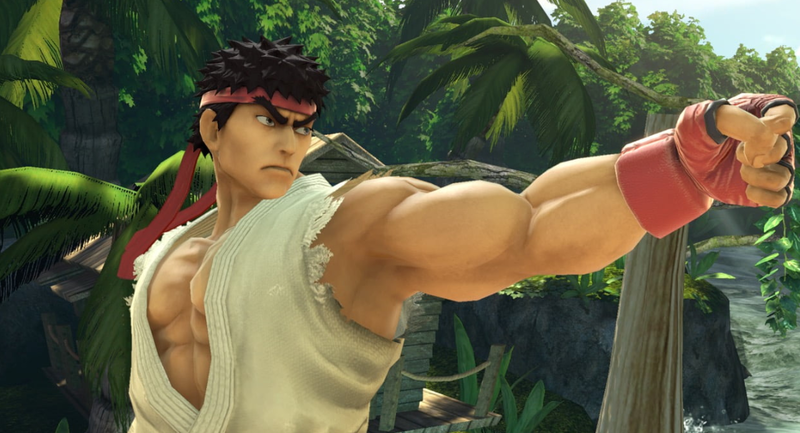 That’s everything we know about Ryu in Super Smash Bros Ultimate. We’ll add more info as we learn more about the character. You can head over to our Super Smash Bros Ultimate guide hub in the meantime for more general details on the game, like what the Ridley amiibo looks like, what stages are in the game, and more.